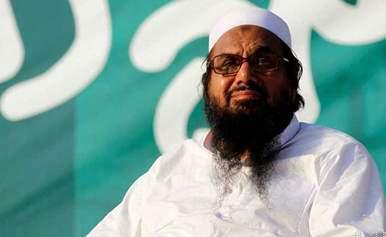 Hafiz Saeed was declared a global terrorist by the US and the UN after the 2008 Mumbai attack and was put under house arrest in November 2008 but freed by a court some months later. He carries a USD 10 million American bounties on his head for his role in terror activities. However, a leaked video featuring Pakistan Prime Minister Imran Khan's junior interior minister has vowed to "protect" Mumbai attack mastermind Hafiz Saeed and his party. The leaked video showed Minister of State for Interior Shehryar Afridi talking to Milli Muslim League (MML) leaders and when his attention was drawn towards non-registration of Hafiz Saeed's party by the Election Commission (ECP) as a political party due to the US pressure and the ECP's plan to declare it a terrorist organisation, the minister said: "We will not let this happen." "As long as we (the Pakistan Tehreek-e-Insaaf) are in the government all those including Hafiz Saeed who are raising voice for Pakistan and righteousness, we are with them," Mr Afridi said, adding "this is our belief." "I request you to come to the National Assembly and see whether we are supporting those who on the right path or not," he told them.